Keshet International has made its first company acquisition, buying German producer Tresor TV Produktions. The deal, financial terms of which were not revealed, marks “a new frontier” for Keshet Media Group’s international arm, according to KI CEO Alon Shtruzman. Best known as an unscripted producer of local versions of Top Model, DIY SOS and Popstars, Tresor will launch a new scripted division that will aim to adapt Keshet formats such as Prisoners of War and The A Word. Tresor president and owner Holger Roost Macias has opted to exit after selling the 25-year-old company, though managing director Axel Kühn will continue in his role. “For a long time, I have been looking for the right groom for my ‘baby’, and I am very pleased to hand over my company to one of the most creative and dynamic groups in the television world,” said Macias. 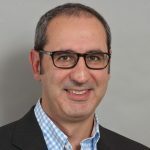 Kühn will now report to KI’s MD for the UK and Western Europe, Sammy Nourmand (pictured), who brokered the deal and said today: “We take great care in choosing our partnerships and pride ourselves on working with the best local talent. Tresor is a testament to this. Working with Kühn on that expansion is Tresor head of sales and business development Nelly Feld. Kühn said that, with Keshet’s support, Tresor was “well prepared for the future in a changing TV market”. For Keshet, the deal comes after it expanded into Mexico with the launch of Keshet MX earlier this year. The Israel-based company also owns Keshet Asia, LA-based Keshet Studios and Keshet UK. Munich-based Tresor recently produced a second season of Ewige Helden, an adaptation of Eternal Glory, for German network Vox.